Today people use their free-will to condition themselves to such dangerous habits. They are not only illegal, but even though they are so dangerous to the mind, body and soul, they are utterly socially acceptable. Let us take smoking cigarettes for instance. First of all, just a couple of years ago, there was an investigation in the biggest cigarette companies of America. They found that their advertising and promotion was especially targeting the teenagers. They weren’t targeting the adults, they were targeting the young people between 12 and 19 because in their own reports, which were written by psychiatrists and psychologists said: if a teenager becomes hooked on cigarette, addicted, then they will be giving us their money until the day they die. On every packet of cigarette the government is telling you – this is dangerous; it may cause your death. Cigarette smoking is the single most preventable cause of premature death in America. These are statistics: 400 thousand people die every year due to smoking cigarettes in America. 276 thousand men and 142 thousand women every year die due to smoking. One out of five deaths in the United States is smoking related, and yet they are smoking. These statistics are not secret, and I am not revealing or uncovering some mystery. They are published; they are known. Why? Why people are killing themselves? Once they become addicted, it is so very hard to give it up. It’s unnatural. I don’t think there has ever been a person alive who lighted the first cigarette that they smoke. It is horrible! Due to social pressure they tried, they start coughing, it tastes miserable, the body is having violent reactions to it, but they just keep doing it, doing it, and doing it, until they become used to it and ultimately addicted to it. When I was a young man, one of the most famous movie actors always had a cigarette hanging from his mouth; always. Everyone wanted to be like him. So the adults, the teenagers, and even sometimes children had cigarettes smoking, had cigarettes hanging from their mouths in the same fashion. Some years later, he died of cancer of the lip and the lung. But, by the time he died, everyone was so addicted that they couldn’t give it up. The power of habit completely covers over our logic, our intelligence and our pursuit of well-being and happiness. Cancer is a horrible miserable cause of death! 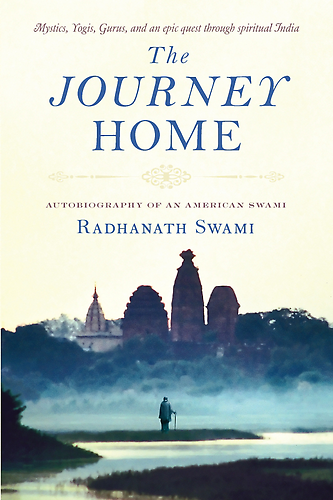 2 Responses to "Habits cover our logic and intelligence"
Such graphic examples used by HH Radhanath Swami here to really make this point that we are often captivated by our habits which are formed over a period of time by repeatedly engaging in that activity. 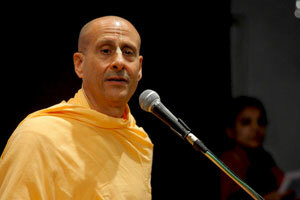 However, the hope is that by hearing from the enlivened souls like HH Radhanath Swami we get a way out and try to attempt to give up the bad habits and pick the new good ones. Many thanks for publishing this. True. 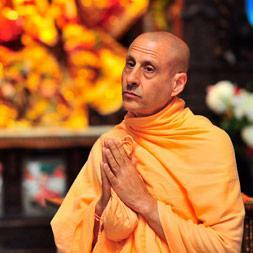 By hearing from personalities such as Radhanath Swami we can get engrossed in good habits thus bad habits naturally get slowly reduced.